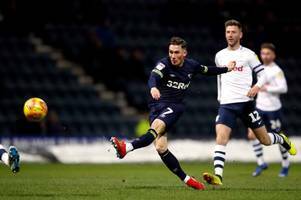 Leeds are reportedly eying Harry Wilson. 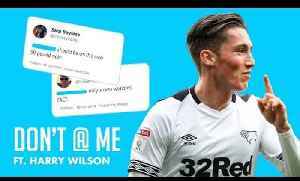 ▶ Videos for "Harry Wilson"
Loads of Liverpool fans have been reacting to a massive transfer update from Neil Jones, and they’re fuming that Harry Wilson could be on the chopping block this summer. Liverpool fans on Twitter are torn on what to do with Harry Wilson for next season. 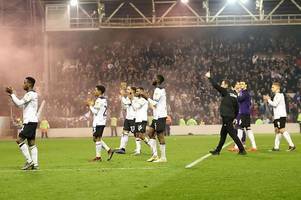 The full list of nominees for this season’s EFL awards have been confirmed, along with the teams of the season for each of the Championship, League One and League Two. 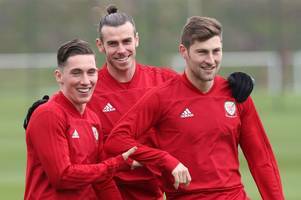 Three strikers are in the..
BBC Local News: South West Wales -- The shirt Harry Wilson wore as they beat Slovakia is to be auctioned to raise funds for his flood-hit former club in Corwen, north Wales. 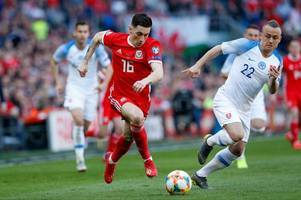 The shirt Harry Wilson wore as Wales beat Slovakia is to be auctioned to raise funds for his flood-hit former club in Corwen, north Wales. 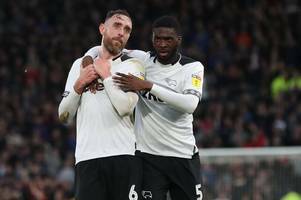 Richard Keogh? 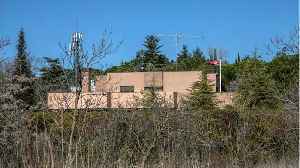 Harry Wilson? 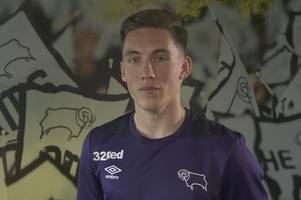 Who has been Derby County player of the season so far? 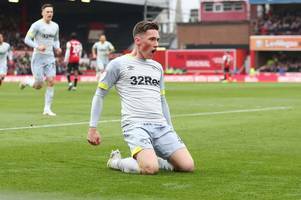 The potential consequences of Leeds United signing Harry Wilson this summer. Both stunning strikes but which one gets your vote? 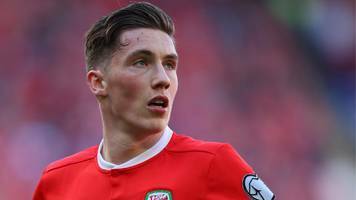 Liverpool are unwilling to loan Harry Wilson to Leicester amid doubts over Brendan Rodgers' trust in young players. 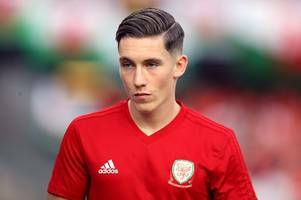 Liverpool fans have taken to Twitter to discuss the future of loan star Harry Wilson. 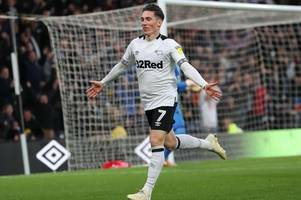 Leeds United are planning to move for Liverpool’s Harry Wilson in the summer if they get promoted to the Premier League, as printed in the The Sun on Sunday (3/3; page 61). 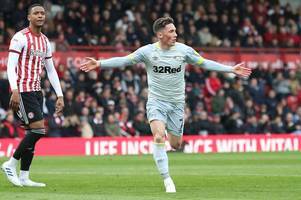 The 21-year-old is..
Leeds interested in signing Liverpool sensation Harry Wilson. 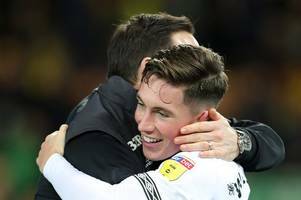 Leeds United will make a summer bid for young Liverpool star Harry Wilson if they gain promotion from the Championship, a report claims The post Leeds United to make summer swoop for Liverpool..
LEEDS UNITED’s prime target should they win promotion to the Premier League is Derby loanee Harry Wilson. 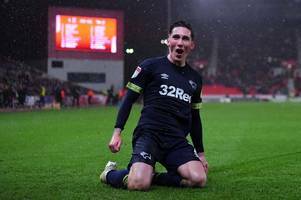 Liverpool midfielder Harry Wilson once again produced a decent display in Derby County's 2-1 FA Cup defeat against Brighton on Saturday, and proved that he's ready to supply Mo Salah and Roberto..
Liverpool fans react on Twitter as Harry Wilson reveals the thinking behind his 'five times' celebration for Derby against Manchester United. 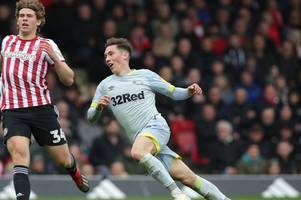 Journalist James Pearce wants to see more of Harry Wilson at Liverpool next season. 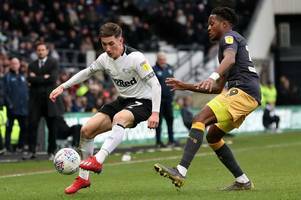 Liverpool youngster Harry Wilson says text messages from Jurgen Klopp during his loan spell with Derby County have reassured him about his future with the Reds. 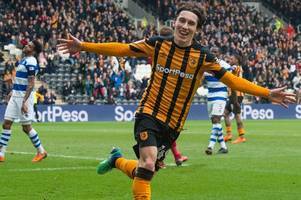 It was not just Liverpool fans who were amazed when Harry Wilson scored a remarkable free-kick against Manchester United earlier this season – Jurgen Klopp was similarly delighted. 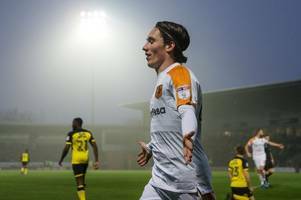 Wilson’s..
Harry Wilson insists his ambition is to play for Liverpool and believes "everything is going along the right path". 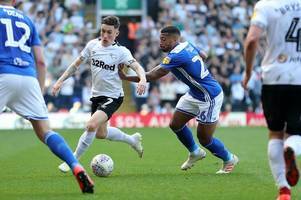 The post Harry Wilson’s vision is unchanged, as he reveals Klopp texts appeared..